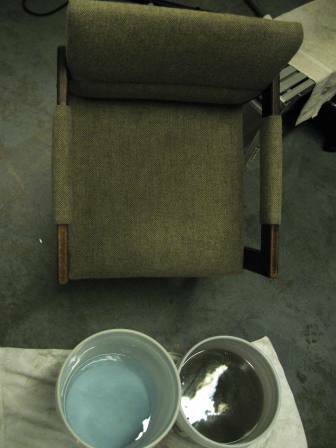 Whatever the proper cleaning method may be for your upholstery, office panels or other custom fabrics, we have the equipment and expertise to take care of it. 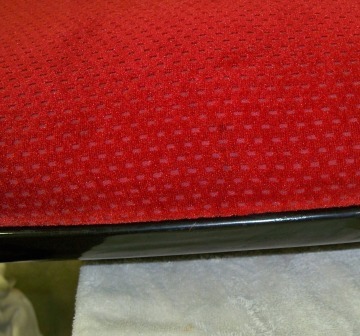 We clean custom made upholstery fabrics using methods and cleaning chemistry appropriate to the type/blend of fabrics. No tags or don't know what it is? Don't worry, we can test the fabric and then use one or more methods to clean it depending upon its construction, level of soiling and age. 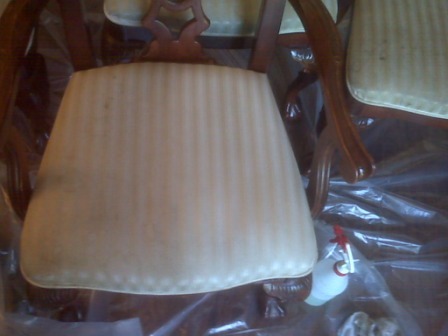 We are NOT the company to call if you want a "cheap" price for cleaning a few chairs or filthy furniture. Prices per linear foot for residential work range from $15 per linear foot for wet cleaning to over $25 per foot for delicate or custom natural fiber blends requiring dry solvent cleaning. Any phone quotes are rough estimates subject to an actual inspection of the piece. 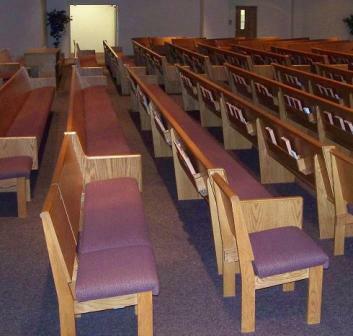 Commercially, we also clean fabric office dividers and panels, office chairs and church pews. Pricing depends upon volume and logistics of each individual job. Seating will typically be dry and ready to use within a couple of hours. Want to see a little bit of what is hiding inside of your furniture? 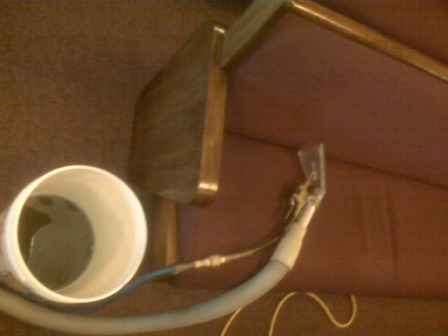 Put a coffee filter or white towel over the end of the vacuum hose and vacuum a few spots on the furniture. The ring you see is only about 65-75% of the "dry" soils present, to which you can add the organic (oily ones still on the fabric) and the rest of the soils missed with dry vacuuming. 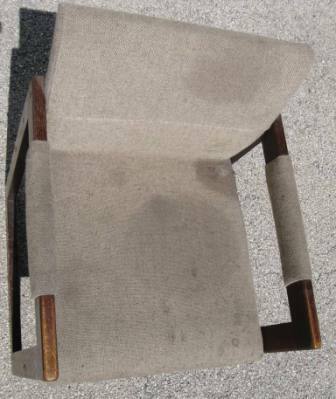 We can promise you that everyone prefers to sit on a clean chair! Not to mention the germs, allergens and such removed and sanitized by cleaning. 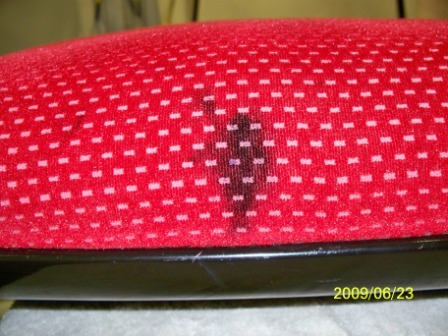 Ink stain removed from seat of a local school auditorium. 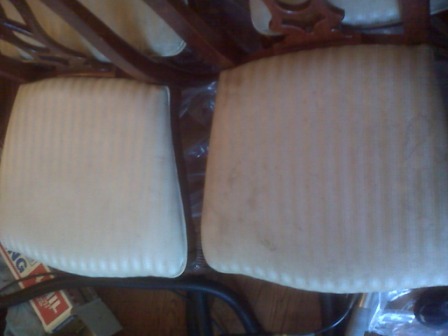 Can you tell which side of the back on the library chair below has been cleaned? CALL TODAY TO SCHEDULE A QUOTE! 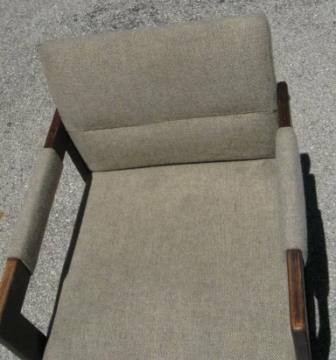 One chair or hundreds - Prices vary by type, size, etc. 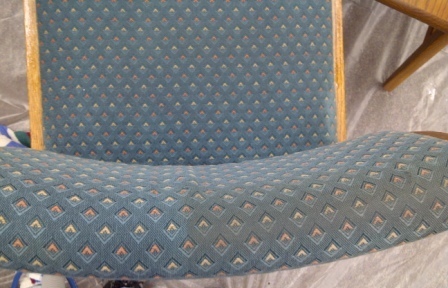 Before/After of chair from a local auto repair shop.